Before our state-of-the-art tools can touch the new construction site, we begin the process of preconstruction. This process ensures the safety and success of those involved in the project. This prerequisite also ensures the maximization of your budget and time. Cost analysis should also be determined before the construction process can begin. While we can do the math for you, statistics are best determined internally. 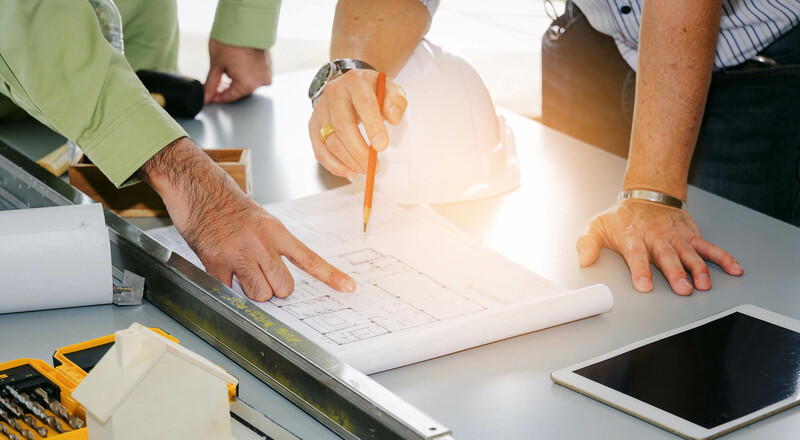 If you’re establishing a business, it’d be best to consider the cost and overall outcome prior to the preconstruction process. During design development, we establish the general concept of the new facility. In addition, we discuss detailed plans and specifications. This makes the entire project more efficient; no facility is the same as the last. Certain factors such as weather, labor supply, and local building codes influence the timely progression of each project. We ensure the longevity of facilities by predetermining potential future needs. The selection of the site largely influences this. Are there other buildings in close proximity to the new sight? If so this could impact the location of the site. Existing pipe systems could bring the entire project to a screeching halt. A site investigation report should be conducted, as well. The design of the building, land suitability and topography, etc. will largely influence the progression and finalization of the construction project. The soon-to-be facility should be in close proximity to shipping routes, so manufacturers can deliver supplies with ease. In addition, it’s best to have your new business in eye sight of consumers. Room for the building, parking spaces and a loading bay should also be taken into consideration during this phase. Communication is a key component for the success of each project. During the preconstruction meeting, each member of our team fully understands the goals and objectives of the project. Typically, our project manager facilitates the meeting and prepares a comprehensive agenda specific to the project. The preconstruction phase is all about integration. We take your visions and handle each aspect with care; ensuring each of the components are up to code. Designs and layouts are then executed into realities, constructed by the professionals. Contact us today to allow us to help you with your next project.